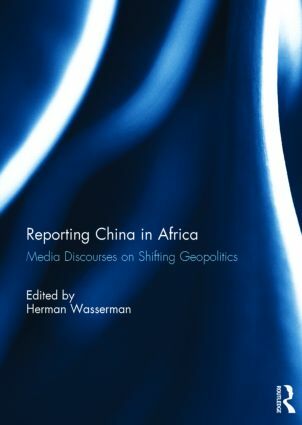 This book discusses the growing media engagement between China and Africa from the point of view of both these regions. The rapid increase in Sino-African contact has led to many controversies and debates in the media, often represented in simplistic terms and stereotypes that call for more in-depth scholarly analysis. Not only have the relationship between Africa and China made headlines in the media, but the media itself has also become increasingly central in the exchanges of capital and human resources between these two regions. The media has also become the terrain where China’s new foreign policy takes shape in the form of ‘soft power’. This volume brings together authors from Africa, China, the US, UK and Europe to provide analysis, comment and empirical evidence to deepen our understanding of how the geopolitical shift towards the emerging regions of China and Africa are playing out on media terrain. The implications for transnational flows of media capital and content on journalistic approaches, press freedom and normative frameworks are discussed, as well as how African journalists have responded to these changes. The result is a collection of perspectives that refuses simplistic conclusions about what the growing engagement between China and Africa might mean, but presents a range of arguments informed by scholarly research. This book was originally published as a special issue of Ecquid Novi: African Journalism Studies. Herman Wasserman is Professor and (from 2015) Director of the Centre for Film and Media Studies, University of Cape Town, South Africa. He has published widely on media in post-apartheid South Africa and edits the journal Ecquid Novi: African Journalism Studies.